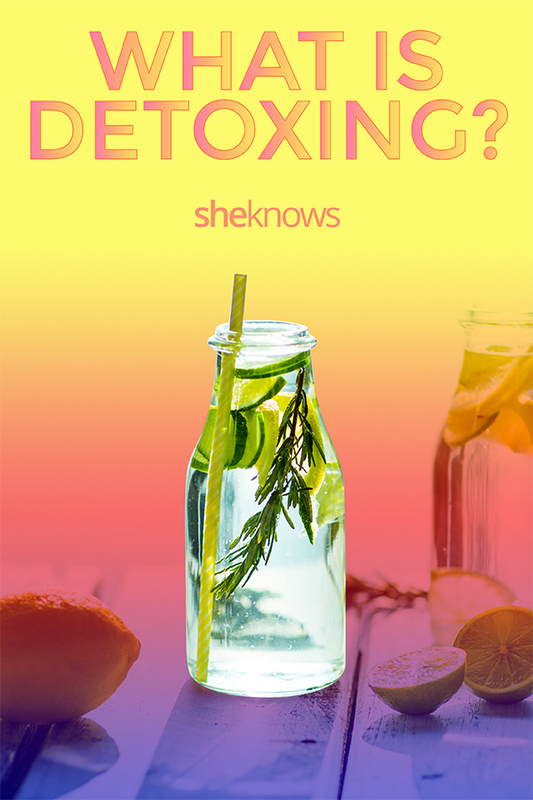 What Does ‘Detoxing’ Mean, & Is It Even Possible? Especially after you have a long string of boozy holiday parties, gluttonous celebrations and wine nights that produce a vast collection of bottles, you might wake up vowing you’ll never, ever eat again. Of course, you will, but that desire to reset your healthy eating habits is one to listen to since your body is being clear about the nutrients it needs. That being said, a detox can sometimes carry a negative connotation depending on what type of program you decide to try. However, there are healthy ways to detox that provide benefits to your body. Here, the scoop on what it really means to cleanse your system, what you should know before starting and more. Before you envision a juice cleanse that makes you hangry every couple of hours, registered dietitian at HelloFresh Rebecca Lewis explains that detoxing is the natural process our body undergoes to neutralize and rid itself of unwanted undesirable substances and toxins created from both manmade and natural sources. Not only do our diets contribute to this buildup, which can cause us to feel uncomfortable or overly bloated, but the buildup can also be created by various environmental factors in your region. This might explain why sometimes traveling can make you feel overly exhausted and out of whack, as you sail through the stale air of the friendly skies to unfamiliar cities. “Some of the toxins we attempt to get rid of are from the air pollutants we breathe, pollutants in our water system, pesticides in our food systems, bacteria like E. coli in our food, alcohol — yes our body recognizes booze as a toxin — or the chemical food additives added to highly processed foods,” she explains. 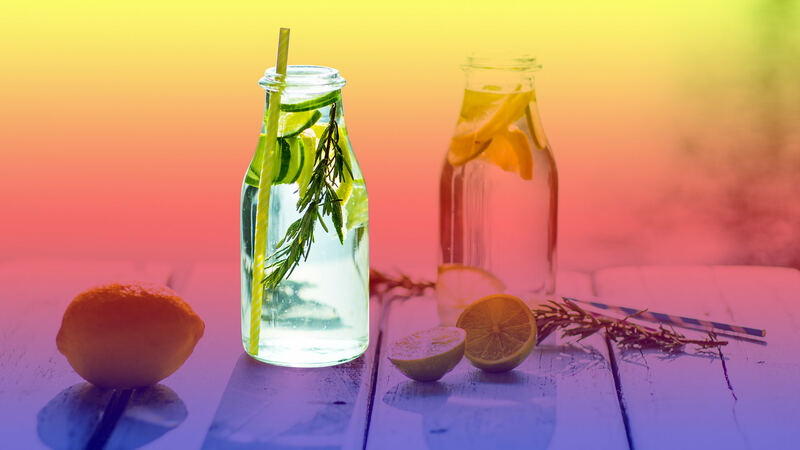 Apart from igniting your body’s natural rhythm in terms of digestion and processing, Lewis says a smart, safe approach to detoxing provides countless other perks that extend beyond weight loss. Believe it or not, Lewis says the actual process of detox happens every single day all the time. She points out that as you read this, your liver is detoxing your blood. “Our liver is a super-organ. It regulates, purifies and clears out of our bloodstream any toxic or unneeded substances by turning them into a substance we can sweat or excrete out,” she explains. But while this hard worker typically does a great job, because it’s never gets a break from its job responsibilities, sometimes it can get sluggish or tired, causing it to be slower to work. This is when a detox becomes recommend and necessary. If you’re experiencing these symptoms, Lewis recommends a specific process to get your body back to it’s happiest and best-functioning place. What are said toxins? To name a few, alcohol, high-fat foods (including red meats and cheeses), high-sugar foods (like desserts and sugary beverages) and high-sodium foods (like those that are heavily processed or contain artificial colors and preservatives). To prepare for your detox, Lewis suggests gradually cutting out all these foods until you no longer have any of them present in your routine. Once you’re at this stage, you can begin the process of detoxing your body. Without all the junk in your cabinet, tummy and diet, Lewis says it’s time to give your body some R&R so it can release the baggage it was holding onto. She says that during this period, you should choose simple foods like bone broth to rest your stomach. “You should also make an effort to reduce your stress and find moments of calm in the day to allow all your organs to take a rest,” she says. As an easy visual way to think of your detox, Lewis says to prioritize the myriad colors in the vegetables. “Remember, the more colorful a fruit or vegetable, the more nutrient-dense it will be as well. Essentially, you want to reload your body with all the vital vitamins and minerals that support the internal detoxification processes our body undergoes,” she explains. There’s no way to step around the potent truth of a detox considering your toxins only have one way out. Lewis says to make this process seamless and comfortable, high-fiber foods like whole grains, beans and nuts will help stimulate foods to move quicker and easier through your digestive system. She also adds to double up on herbs like milk thistle, dandelion root and stinging nettle to serve as a diuretic and supercharge antioxidants. Once you’re ready to begin your detoxing process, Lewis says to give a little love to the mindfulness portion of this experience too. Though you are cleansing your body, she warns that frequent detoxing can make many obsessive about what they eat, creating an unhealthy relationship with consumption. Instead, remember that detoxing simply means taking a few weeks to clean up your diet with healthy, fruitful alternatives to snacks and meals that were causing you to bloat and feel unlike yourself. Practicing this mentality and keeping a pulse on how acutely impacted you are by the act itself will keep you levelheaded and healthy.